What is it? Dr Jeremy Knox and Dr Michael Gallagher, both of the Centre for Research in Digital Education at the University of Edinburgh, are running two workshops for faculty and students on Internet of Things (IoT) technology and how this might be designed to bridge distance for the University across campuses (there are several discrete campuses within the city) and between distance (about 2600-3000 currently) and on-campus students (≈30,000). Imagine technology built-in to the campus environment that could use light and sound to represent distant student communities. We are looking to generate ideas around how IoT can be used to build community, a sense of belonging, a functional, aesthetic, cognitive, or emotional connection to the university. This workshop (student event link here) is a part of the Festival of Creative Learning at the University and linked to the Near Future Teaching initiative. Why should you come? We will be doing design thinking around what kind of future we hope the University will have with technology, and provide you with an opportunity to make your ideas a part of that. It is a great opportunity to get outside your own subject area, do some interdisciplinary work, and perhaps come up with an idea for your own future project, capstone, dissertation, or even your own business idea. Your ideas will remain yours. It is a great opportunity to explore some links between data, IoT technology, and doing more than setting your smart thermostat. Both on-campus and digital education students will be participating simultaneously, feeding their ideas to one another. There will be coffee and tea, of course. It is in the uCreate Studio, a maker space for the University complete with tons of kit. There is a beautiful view over the Meadows. Jeremy and Michael are fun to talk to. How will we do it? We will be designing around a set of four personas representing four students. Different subject areas, countries of origin, some distance and some on the physical campus. We will identify, if it exists, how IoT (specifically the underlying data being generated by the larger university community) can provide a sense of connection to the larger community. No need for previous skills or experience with IoT or technology, this session is purely about design and creative thinking. Our personal interest is in identifying and engaging underrepresented (or underserved) populations, particular regions, non-native English language speakers, domestic deprivation, those from first generation university families, and the like. If IoT gives us a mechanism (in tandem with other systems, of course) to reach these groups, we want to explore it. But beyond that is the potential of using data and technology in tandem in largely aesthetic and emotional ways. Beyond merely offsetting loneliness or isolation, there is work to be done here on how it proactively builds community, redefines these connections between student and student, university and student, and so on. You can be a part of that. Do join us. Happy November and we hope you are all adjusting to the changes of the season. 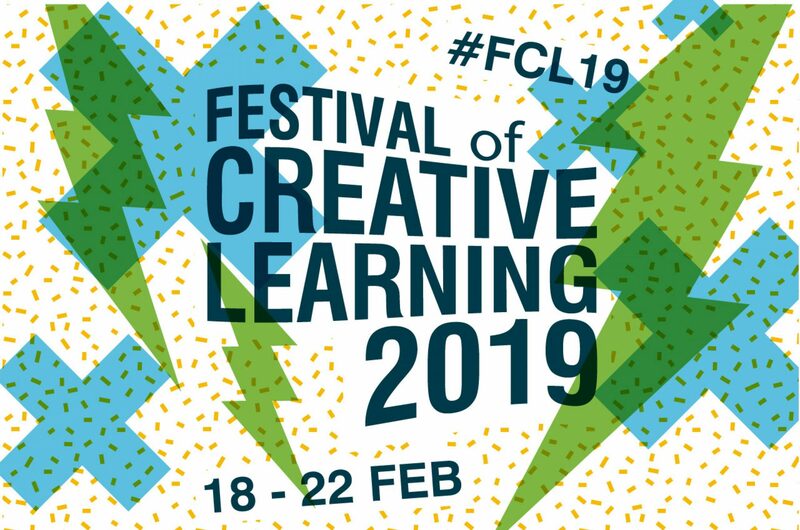 With this blog post, we will provide a tantalising update on preparations for the Festival of Creative Learning 2018. The deadline for applications was Monday 23rd October at 5pm. When I left work the Friday before we had six applications and it is fair to say I was rather nervous what the overall result would be. Come Monday, any fears I had were swiftly dispatched and our inbox was inundated by a plethora of applications from staff and students across the whole University. I found myself indulging in a self-imposed application processing challenge as I tried to log and acknowledge each marvellous submission at lightning speed before the next came in. I was motivated by colleagues sending me photos of Usain Bolt, and made sure I shared the excitement by making regular progress announcements to my desk neighbour. The total exceeded her estimate significantly! Many of you will have heard or read that Jennifer and I spent a great deal of time over the summer refining our processes and improving our communications with the intention of making it easier to apply or otherwise get involved with the Festival. We are both delighted that our hard work appears to be starting to pay off as evidenced by your hard work. The quality and diversity of submissions have been phenomenal, making us incredibly excited for February next year. Thank you to everyone that shares our enthusiasm for the Festival of Creative Learning. We look forward to working with many of you over the coming year. *Yes, well done, these are our values. Sorry, it wouldn’t be right for the world to know about the events before those that applied to run them.